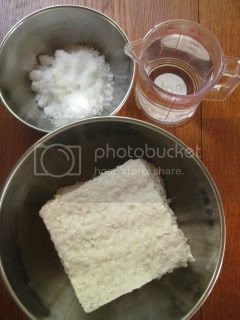 I've been so fascinated by the power of kome koji (or "rice koji"; malted rice with koji mold). 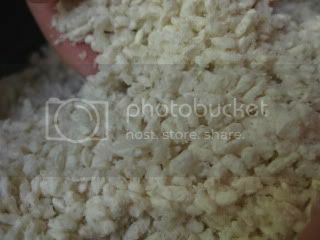 My passion for rice koji is growing bigger and bigger. 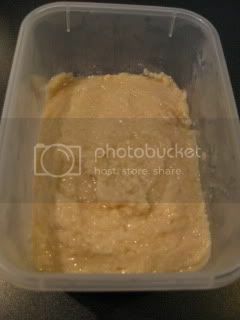 With rice koji, I make my own miso, and just lately, I made my first makkoli (rice wine), and this time, I made Shio-koji. 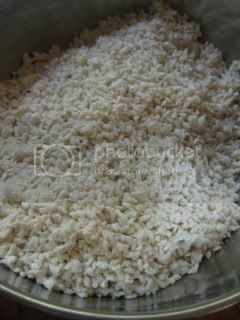 It's basically a simple salt-fermented rice koji, which can be used for a wide variety of dishes for marinade, seasoning, etc. 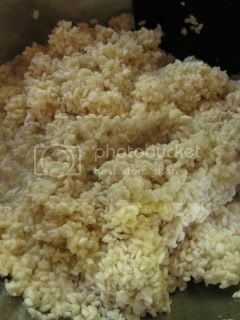 It's very simple to make Shio-koji. You just need some patience to wait for it to be ready to use. Only 3 ingredients are required. 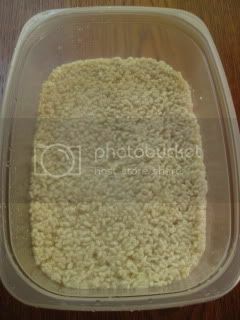 400 grams dry rice koji, 120 grams sea salt, and 400 ml water (room temperature). 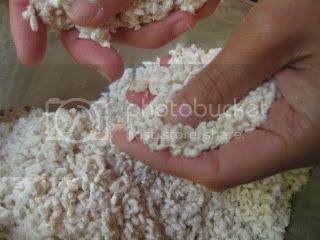 Just like making homemade miso, first, pressed rice koji was broken into grains by hand. Salt was added and mixed by hand throughly. Water was added and stirred. The mixture was transferred to a container. You can use a regular plastic container, but make sure it's only loosely covered (so that the mixture won't explode during fermentation). Let the mixture ferment at a room temperature for 7-10 days (it's different from alcoholic fermentation, so no alcohol would be produced). Meanwhile, you can stir the mixture once a day. In the first few days, you might think the mixture is not wet enough, but as the grains start to break down, it will become more moist. Here's the finished Shio-koji after 10 days! It's so beautifully soft and smooth. The aroma has the nice "fermented" koji smell. I tasted it just as is, and it was so unique and so fantastic! It was, of course, salty, and also had the sweet sake-like flavor. With the magic of koji mold, the grains were almost completely dissolved into smooth paste. 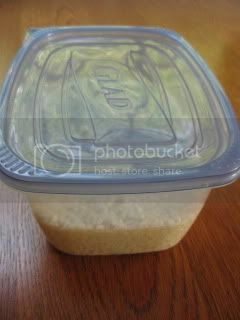 You can keep the finished Shio-koji (in a tightly sealed container) in refrigerator for a few months. I'm going to make many different things with it and want to post pictures in t his blog.